Just the other day, we told you how some Google Pixel 2 XL owners have been asked to take a "one minute" survey to "Help improve Pixel." If you decide to opt-in, you'll be asked questions about the level of satisfaction you have with your Pixel 2 XL, and which brand of phone you previously owned. The survey was found on the settings page at the bottom of the handset's screen. As it turns out, Google is not limiting the survey to Pixel 2 XL owners. An invitation to answer some questions was also discovered on the Android Messages SMS client, which happened to be running on a ZTE Axon 7. 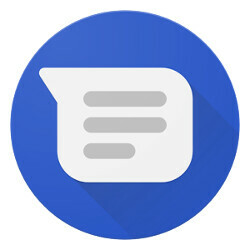 On the bottom of the screen, there was a box that read, "Help improve Android Messages," and the user was given a choice to ignore the request, or take Google up on it. The questions asked appeared to be similar to the ones found on the Pixel 2 XL. For example, one asked how satisfied the user is overall with Android Messages. We wonder what other Google products besides the Pixel 2 XL phone and Android Messages client are running the survey. If you have been invited to take part in such a survey, let us know where you spotted it by dropping your comments in the box below. You might feel that this is an intrusion by the guys in Mountain View, but you can decide to opt out. Besides, the info being collected by Google just might lead to some improvements that make your Pixel 2 XL run better, or greatly improve the quality of the Android Messages client. I got the same thing on Google Maps today. I was driving so I just dismissed the box. It looked like a banner add in any other app. It just asked if I could take a quick survey. I'm on the 2XL and haven't seen either of these surveys. Most likely a standard survey, meaning at most up to 50,000 surveys will be taken worldwide. I wish Google would give us web link previews and push the US wireless carriers to use their RCS messaging standards for nationwide interoperability. got one of these on my pixel 2 XL. hopefully theyre listening. the app is crap.